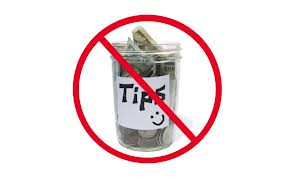 Removing tipping from your app is a good way to piss off your workforce. A pretty transparent look at how Buffer is experimenting to make sure that people take time off. Will increased automation make us happier at work? Instacart is taking heat from their contractors over the decision to remove tipping from the app. The US government just took steps to extend paid leave to federal contractors—so some “gig” workers will now have time off benefits. Gar Alperovitz suggests 6 steps to an economic revolution that puts more power in the hands of workers. I cannot believe that you could write an entire article about self-driving cars in Florida and not mention the possible impact on the elderly population. I mean, it’s the oldest state—surely there are many people who would benefit from no longer having to drive? Blue Apron set itself a mission to provide customers the ability to cook hi-quality meals at home, while reducing food waste. But they forgot to become a decent employer, along the way. Wanna see what kind of data Facebook has collected about you? ProPublica has a new browser extension that is specific to your data. Great piece from the UK about why unions need to be ordinary, when it comes to their members’ digital experience. 18 Million Rising launched an app to allow AAPI voters to get voting information in their native languages. Translation performed by computers is taking a leap forward, as Google gets it’s program to read whole sentences, in order to achieve better comprehension.